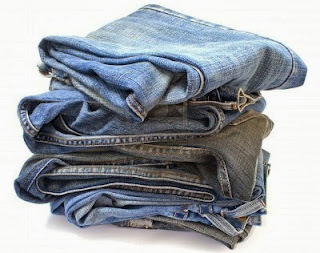 What to do with an old jeans?? NEVER throw it away! 2 trouserslegs for the sleeves, 1 for the front, 1 for the back and 1 for the hood --> That's it. I used an old shirt for the lining.